Originally published in Journal of Creation 14, no 3 (December 2000): 79-80. We did not, and do not, propose that ‘most of the fossils found on the earth were buried by post-Flood catastrophes’.8 In the cited papers we proposed that rocks dated Permian or later were post-Flood. We did not go into the question of what proportion of the fossiliferous rocks might have resulted from post-Flood catastrophes, and we do not believe that fossilisation implies, let alone requires, catastrophic processes. Garton did not attempt to show that there are dinosaur tracks all the way from the Cretaceous to the Tertiary and Quaternary.9 Although he is said to have ‘rightly’ shown this, dinosaur tracks, like dinosaur bones, do not post-date the Cretaceous. Garton did not suggest that dinosaurs were trapped in ‘the Carboniferous floating forests’.10 Nor did he maintain that ‘these creatures swarmed the inhospitable land in the final stages of the Flood’.10 Dinosaur fossils are not known from the Carboniferous. The chalk deposits of the Cretaceous are not ‘usually taken to be the crushed remains of marine shells’.11 The phrase suggests comminuted fragments of the kinds of shells one can pick up from the beach, whereas the dominant constituent is (intact) platelets of microscopic plankton. Bottom-dwelling shellfish, ammonites, etc., occur within this matrix as a distinguishable, generally macroscopic component. The composition of the deposits is largely a matter of fact rather than interpretation, as Tyler in his paper recognised. Robinson based his argument that Genesis describes the blotting out of all animals without trace on the meaning of the word machah (i.e. ‘blot out’), not mabbul.12 A full reply to the contrary arguments of Fouts and Wise, which McIntosh et al. cite with approval, was offered to the editors of the Tech. J. but not accepted [Ed. note: because the external reviewer expert in Hebrew thought that Robinson’s exegesis was flawed]. While we support Robinson’s exegesis, it was never a key reason for espousing the Flood model proposed in our papers. For example, Scheven, who first proposed the model, has never expressed an opinion about the interpretation of the word machah. 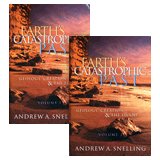 We would not cite Genesis 10:25 as biblical justification for a major post-Flood (geological) disaster.8 At one time, some of us thought that this verse might have referred to the comparatively gradual disintegration of Pangaea in the Jurassic. Since then, Robinson,13 citing Fouts,14 has distanced himself from that view in print; the rest of us are also non-committal. In principle, we agree that there should be interaction between the relevant scientific disciplines in discussing how Genesis relates to the geological record. We do not, however, believe that McIntosh et al. have identified the essential problems of the proposals currently on offer, nor that there is much value in criticism that fails both to understand and to address basic geological data. None of us is satisfied with the model that we proposed in 1996. In the light of the problems encountered, our thinking has moved on, albeit not in a direction that McIntosh et al. would approve of. 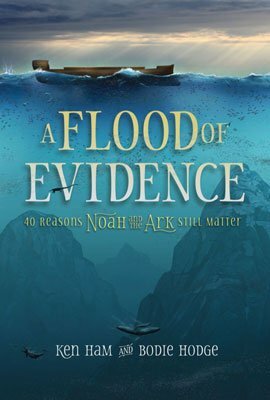 On the other hand, we remain convinced that Genesis preserves a trustworthy historical record of a global Flood. McIntosh, A., Edmondson, T. and Taylor, S., Flood Models: The Need for an Integrated Approach, CEN Tech. J. 14(1):52–59, 2000. McIntosh, A., Edmondson, T. and Taylor, S., Genesis and catastrophe: the Flood as the major biblical cataclysm, CEN Tech. J. 14(1):101–109, 2000. Robinson, S.J., Can Flood geology explain the fossil record? CEN Tech. J. 10(1):32–69, 1996. Garton, M., The pattern of fossil tracks in the geological record, CEN Tech. J. 10(1):82–100, 1996. Garner, P., Where is the Flood/post-Flood boundary? Implications of dinosaur nests in the Mesozoic, CEN Tech. J. 10(1):101–106, 1996. Tyler, D.J., A post-Flood solution to the chalk problem, CEN Tech. J. 10(1):107–113, 1996. Garner, P., Continental flood basalts indicate a pre-Mesozoic Flood/post-Flood boundary, CEN Tech. J. 10(1):114–127, 1996. McIntosh et al., Ref. 2. p. 106. McIntosh et al., Ref. 1. p. 56. McIntosh et al., Ref. 1. p. 57. McIntosh et al., Ref. 1. p. 53. McIntosh et al., Ref. 2. p. 105. Robinson, S.J., Genealogy is not chronology, Origins, Biblical Creation Society, 26:15–21, 1999. Fouts, D.M., Peleg in Genesis 10:25, J. Evangelical Theological Society 41:17–21, 1998.